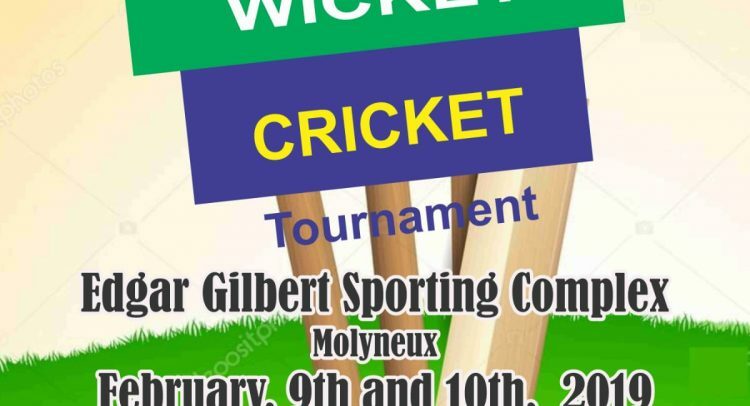 The competition will be held in honour Edgar James Adolphus Gilbert a stalwart of St. Kitts and Nevis, Leeward Islands, and West Indies Cricket and will takes place at a venue named in his honour in Molineaux. The competition will feature male and female cricketer from across St. Kitts and Nevis battling for over $1000 in team and individual prizes. Prizes will be on offer for the batsman with the most runs, most sixes, bowler with most wickets, and the best economy rate. The winning men’s team will be given a $500 prize and winning women’s will be awarded $250. The competition will also feature multiple individual cash prizes for both males and females. Some individual prizes will include most runs, most wickets, best economy rate, and a batter to score a 50 will also win a special prize. Registration for the competition is still open and runs at a price of $100 for men and $50 for women. To register for this exciting competition call or whats app 660-7632, 762 2844 or 662 8443. Plenty of food and drinks will be on sale including cook-up and goat-water. Also DJ Wet Dutt will be on hand to provide musical entertainment. There will also be live commentary on the ground. This event forms part of the Molineaux/Cayon Cricket Clubs effort to raise funds to send more that 20 young cricketers on a tour of England in the summer of 2020. The Molineaux/Cayon Cricket Club won the two major competitions hosted by the St. Kitts Cricket Association in 2018 capturing the 10/10 and Keeth Arthurton T20 competitions.